EghtesadOnline: A temporary agreement previously reached on the formation of a free trade zone with Iran has been finalized in a summit meeting of Eurasia Economic Union in St. Petersburg, Russia, Russian media report. During the meeting on Thursday, the EEU leaders signed a package of documents, including the agreement on the formation of a free trade zone between EEU and Iran, IRNA reported. The meeting, chaired by Russian President Vladimir Putin, was attended by the residents of Belarus, Kazakhstan and Kyrgyzstan, as well as the Armenian prime minister. 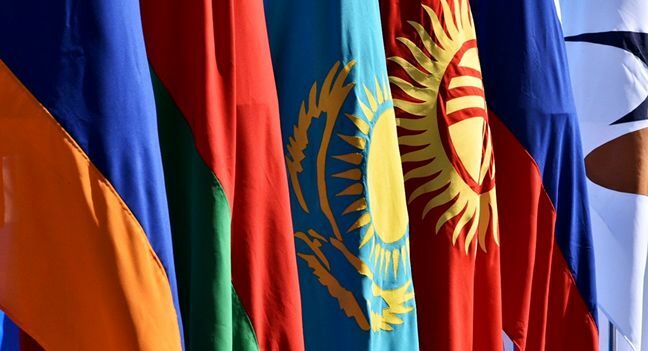 Iran and EEU signed a temporary agreement on the formation of a free trade zone in Astana, Kazakhstan, on May 17, according to Financial Tribune. The deal’s main advantage is reduction in import duties and establishment of a transparent trade environment.